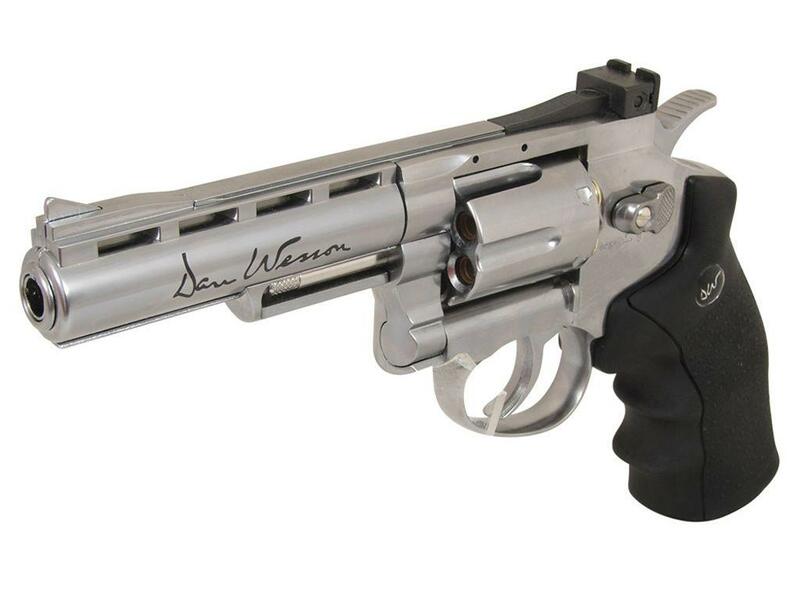 Dan Wesson WG CO2 4 Inch Silver US Airsoft Pistol | Replicaairguns.ca | Easter Weekend Sale! 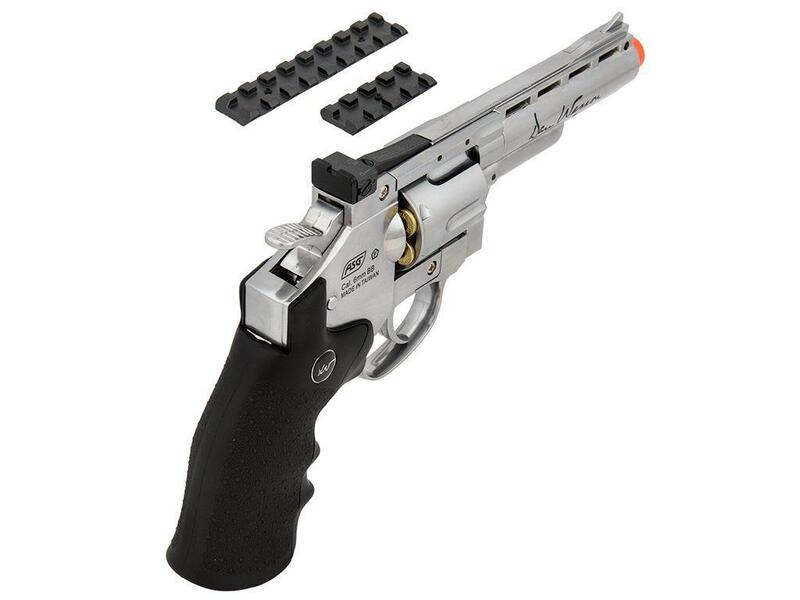 http://www.ReplicaAirguns.com - ASG Dan Wesson 6 inch Silver CO2 Airsoft Revolver Field Test Shooting Review. On the actual Field Test Shooting day it was much warmer (tank top weather ;) and so as would be expected, this time my ASG Dan Wesson 6 Inch Silver CO2 Airsoft Revolver shot a bit faster at closer to 420 fps average with 6 shots put through it. There is even room for some more fps still as it was only about 22 degrees Celsius or about 72 Fahrenheit. Accuracy from 30 feet out was not as tight as my pretest 20 foot testing and I would imagine the further back we go with the Airsoft ASG Dan Wesson, this will spread out even more as is the case with Airsoft BB's. They are just not as accurate as steel BB's especially when shooting at longer ranges. 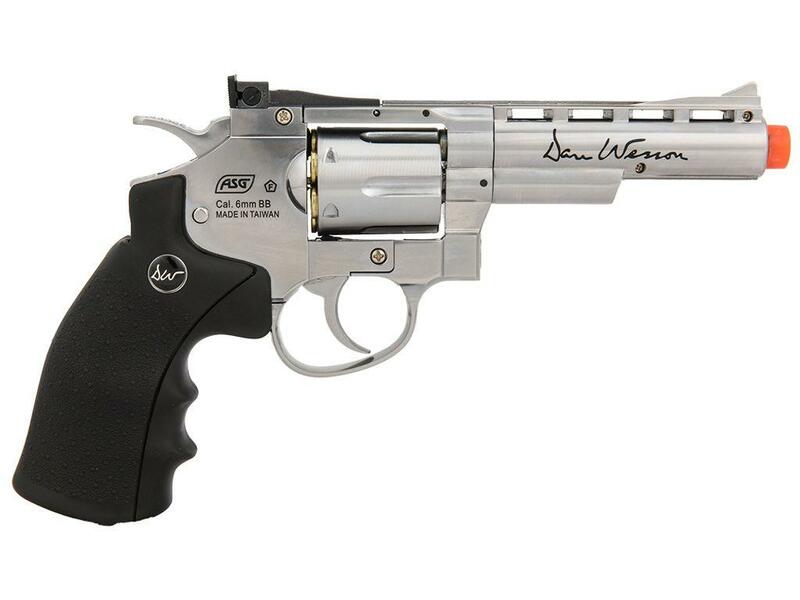 I would expect this Airsoft Dan Wesson version should still be very effective on a man sized target up to about 60 feet or so. 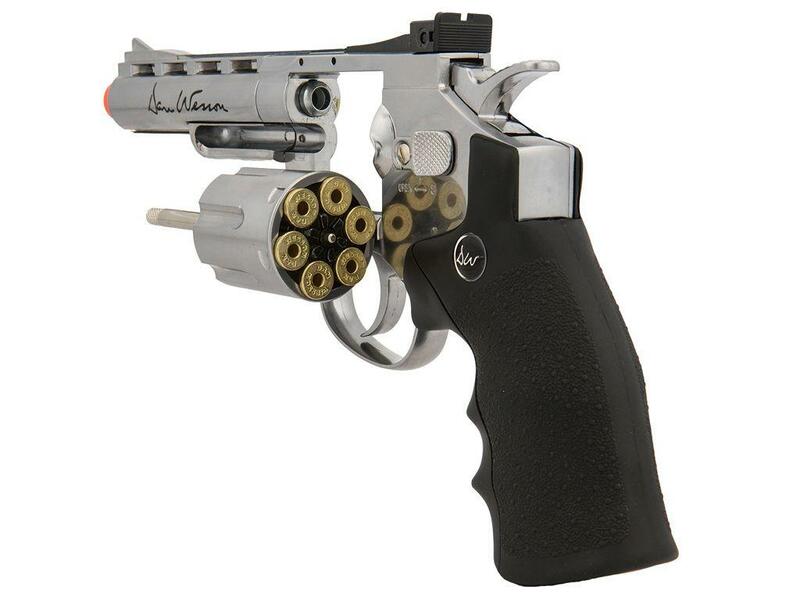 Keep in mind there is no hop-up in this revolver so BB's will drop much more than a gun that has hop-up. 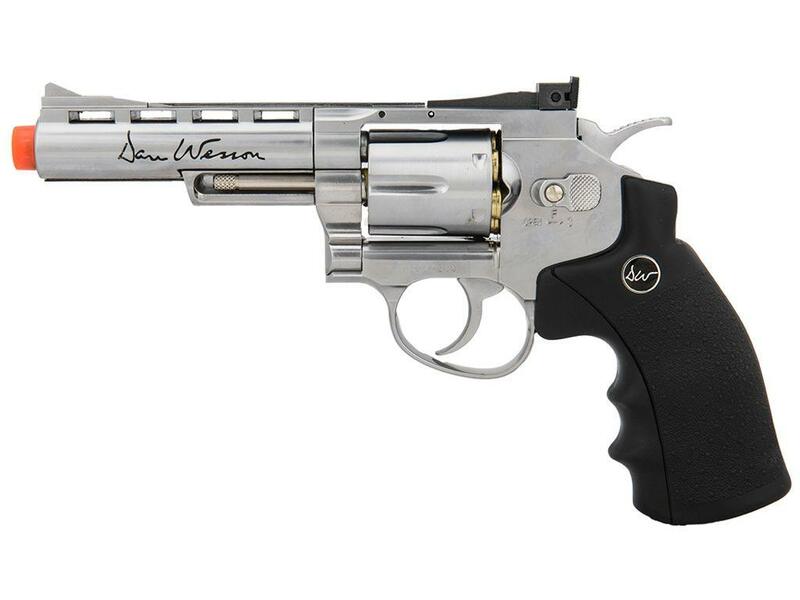 Like the 4.5mm BB shooting version you can expect a good 100 or more shots from this Airsoft BB Shooting Dan Wesson CO2 Revolver. 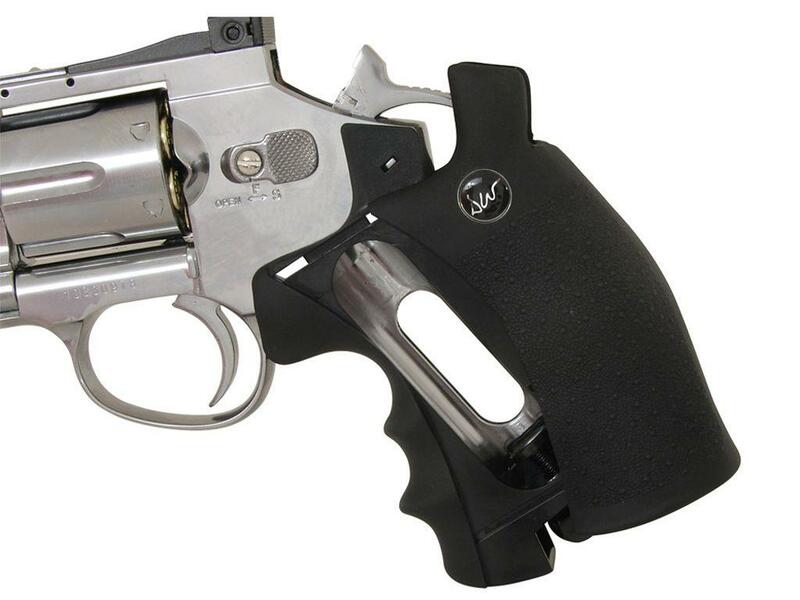 Having tradition revolver single and double action triggers makes for both precise and action styled shooting. All in all a really nice Airsoft pistol from ASG. 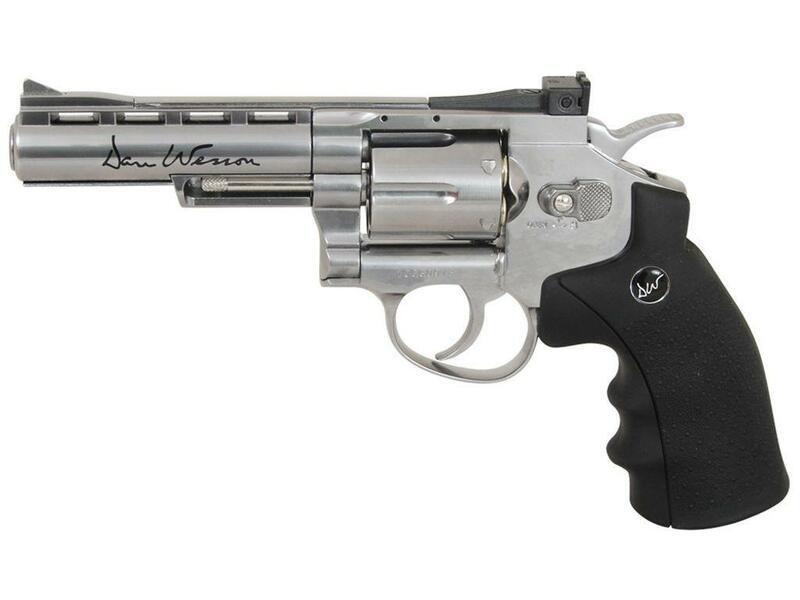 http://www.ReplicaAirguns.com - ASG Dan Wesson 6 inch Silver CO2 Airsoft Revolver Table Top Review. 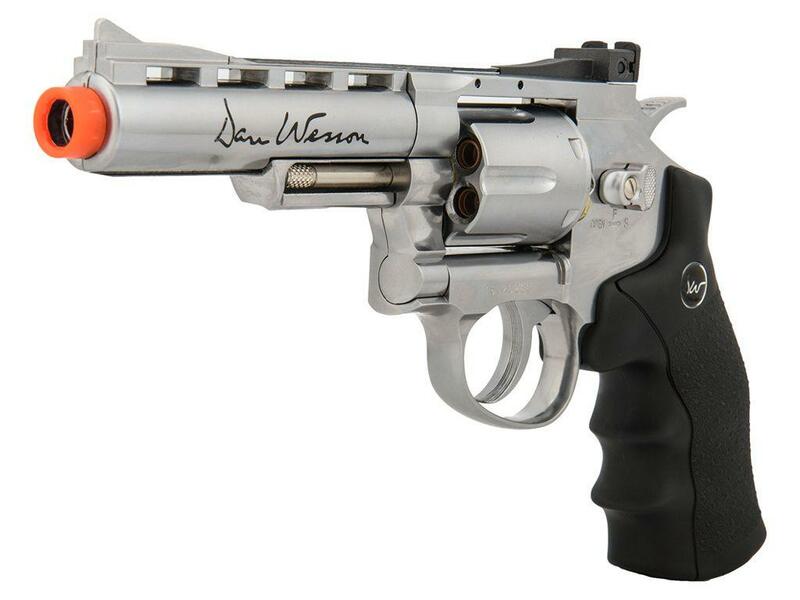 This video is a walkthrough review of the ASG Dan Wesson 6 inch Silver Airsoft CO2 BB Revolvers. 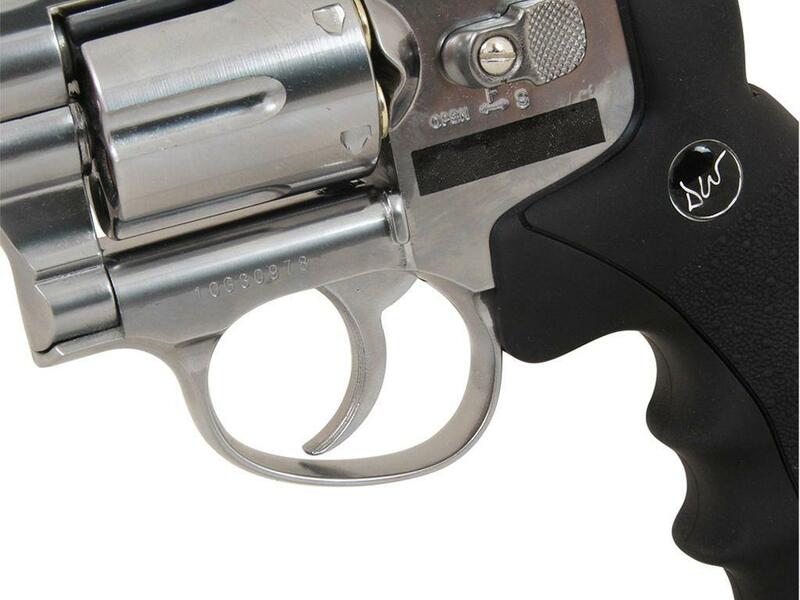 I show off this Revolver close up from all angles and point out the all metal construction and the incredible attention to realism offered. I also take you along with me using my Pivothead camera glasses while I do my preliminary Chronograph and Target shooting to see how the Dan Wesson 6 inch Silver CO2 Airsoft Revolver performs in a real world situation.